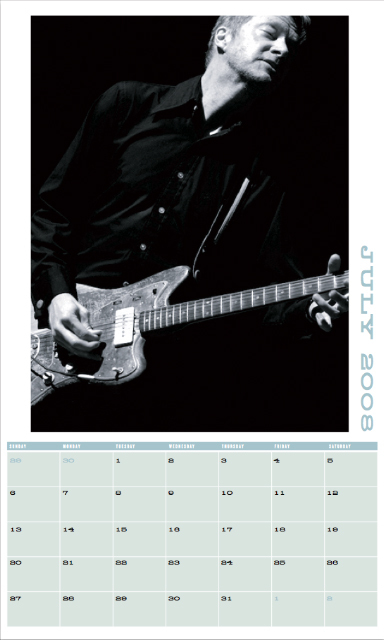 The annual Wilco calendar returns this year to the more classic wall variation, with days big enough to keep yourself organized throughout 2008. 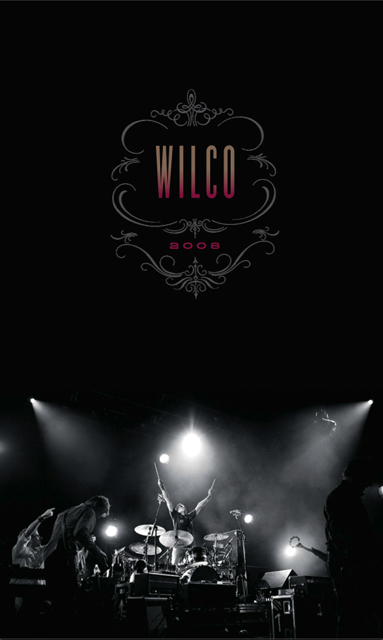 The calendar mixes poster artwork from past Wilco shows with a collection of live photos by Zoran Orlic. 7 Images from Zoran Orlic and 6 concert posters from this years tour featured inside. Wire-bound and printed on thick 80lb cover paper stock, the calendar also includes the always useful 2009 preview. 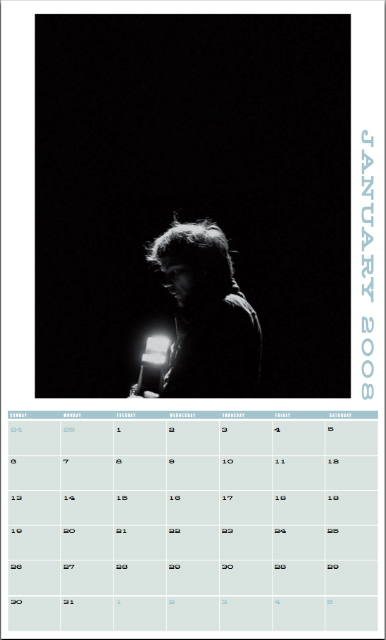 As a bonus, all orders of the calendar will receive the 2007 desk calendar, suitable for framing (while supplies last). "The Frames : Behind the Glass"
www.myspace.com/zoranorlic - images from the book. Zoran Orlic captures musician Richard Thompson for his new album "Still"
Zoran Orlic Announcing the US Book Launch for "The Frames: "Behind The Glass"